Successfully Added T7 Android tablets -IP67, 4 GB, 1280x800, 7 inch display, quad-core CPU, 3 GB memory, 32 GB memory, Android 7.0 to your Shopping Cart. 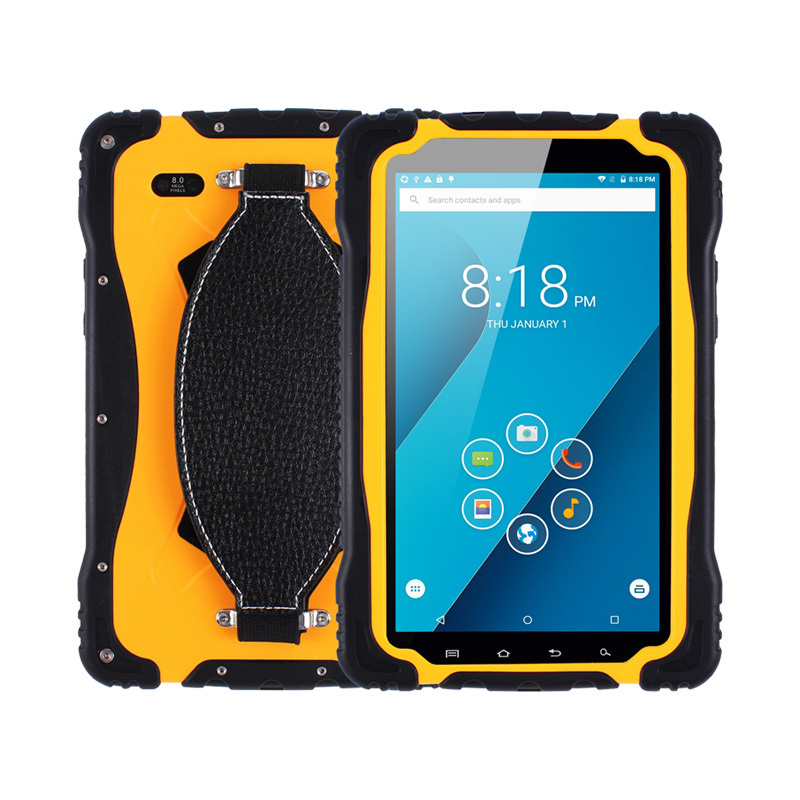 T7 Rugged Quad Core Android Tablet is up to the challenge and built to last in the great outdoors, it has an IP68 rating and with a tough rubberized case making it well protected as well as being shockproof, dustproof and waterproof. T7 tablet computers, we have added another amazing product to more and more sturdy equipment. Take full advantage of a powerful MTK6735C Quad Processor back up from the 3GB's RAM 4G 7 inch sturdy flat let you escape the city and head for the great outdoors without leaving the machine. The four core CPU brings 1.3GHz processing power, and when combined with 3GB RAM, you will get an amazing performance for playing games or watching movies, in addition to the internal storage space of 32GB, which can easily extend the memory of additional 64GB in the micro SD slot. All of these spaces mean that you definitely have enough space for your entire multimedia library. There is even OTG support for memory pens or other external devices. T7 has been specially crafted to be tough and durable letting it withstand drops, shocks and spills. With an IP67 rating it’s completely dust proof and can happily withstand being fully immersed in water so you don't have to worry about any water ingress. This gives you the confidence to be able to take the T7 on any adventure, being safe in the knowledge that it won’t let you down. Running the ever popular Android 7.0 OS this tablet's brings access to the ever expanding Google Play store and plenty of choices for apps and games to enhance your tablet experience. This tablet PC benefits from GPS and AGPS so you will never get lost and with Wi-Fi, 4G and Bluetooth it’s easy to connect the Xscape2 to other devices, make phone calls or get online to communicate with friends and family. This rugged tablet comes with a detachable hand strap so you can keep a firm hold of it no matter what you’re doing and it has a 13 megapixel rear camera for snapping action shots or capturing videos of your adventures. There is also a 5 megapixel front facing camera, which is ideal for video chats so all in all this is a truly versatile gadget for people with active life styles. To make life even easier this tablet has smart wake support for quick app access as also offers gesture sensing and NFC so mobile payments can be made from it. A built in 9650mAh battery bring a long usage time which is exactly what you want when you out on your adventures. 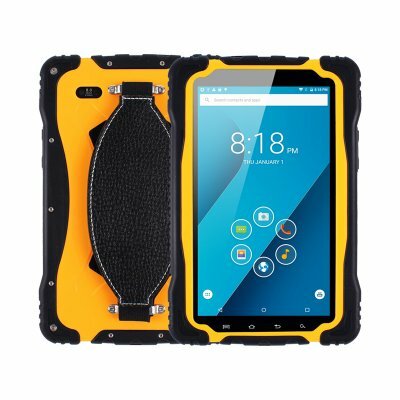 T7 Rugged Tablet comes with a 12 months warranty. Brought to you by the leader in electronic devices and wholesale Android Tablets..